It’s not often I write this – I may never have written it while covering startups. So here goes: coming across BeSpecular made my day. 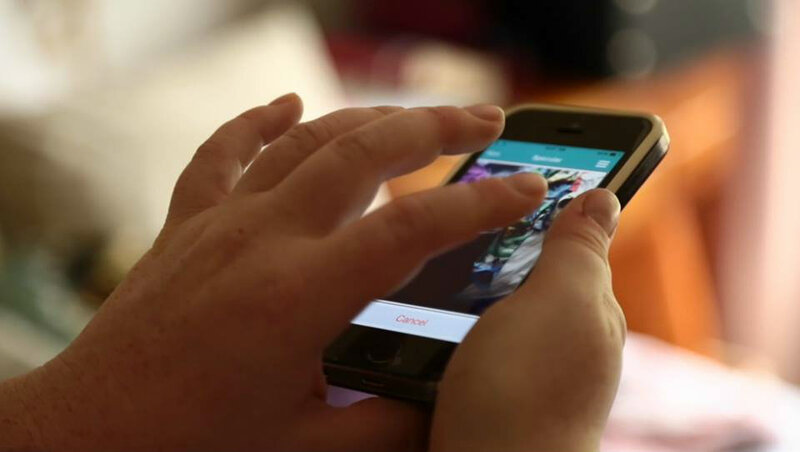 BeSpecular is an app that allows people with sight to assist the visually impaired. Don’t get me wrong, I’m inspired routinely by startups, but it’s not often I feel the goosebumps. BeSpecular raised on my arms. Here’s why I love it. I think most of us would like to help our fellow humans more, but we’re generally overwhelmed with our own daily lives and so feel at a loss about how we can help more or how we might summon the energy to lend a hand. BeSpecular asks little of us, but effectively allows us to help people in moments when they could really use the help of our eyes. No volunteering hours of time, no going out of your way. Heck, you don’t even have to walk anyone across a street. All you have to do is sign on to be a sighted volunteer. When the blind or visually impaired person needs your help – eg, he’s unsure of the expiration date on a milk label or she’d like help installing computer software – they ask a question and take a picture. Community members receive the request and respond with a simple voice message. The chain of communication is so uncomplicated: it’s brilliant to put messaging to work in this fashion. It takes, what, all of fifteen seconds to field a question and help someone? Love it. BeSpecular makes it easy to feel and express empathy productively. It’s also straightforward and practical. However, as a delighted reviewer, I can say I’m smitten by the app being efficiently humanizing. No doubt the visually impaired learn how to compensate for their sight troubles in ingenious ways, but how wonderful that BeSpecular can give them help fast, saving them time and effort – which we all can appreciate. The app is in limited testing at the moment, but will soon be available for both Android and iOS. Sign up to lend your eyes to the world or to obtain speedy, visual assistance at bespecular.com.